Pastry chefs Gianina Serrano and Bridget Labus have a culinary pedigree, having worked in the kitchens of five-star hotels like the St. Regis and the Four Seasons. 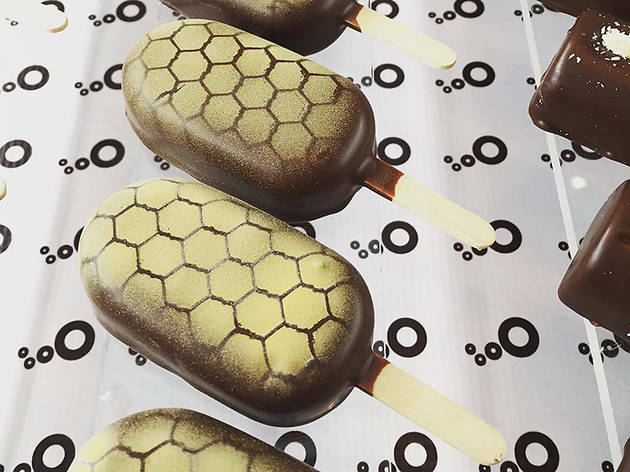 Though their chichi dessert shop is perhaps best known for its truffles and tarts, the unsung star is the decadent gelato pop. The bite-sized treats on sticks come in flavors like Mexican hot chocolate, almond toffee and Kentucky—an indulgent blend of chocolate and bourbon. 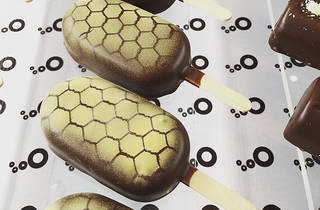 Each is hand-dipped in a vat of dark chocolate, creating a delicately crunchy outer shell.